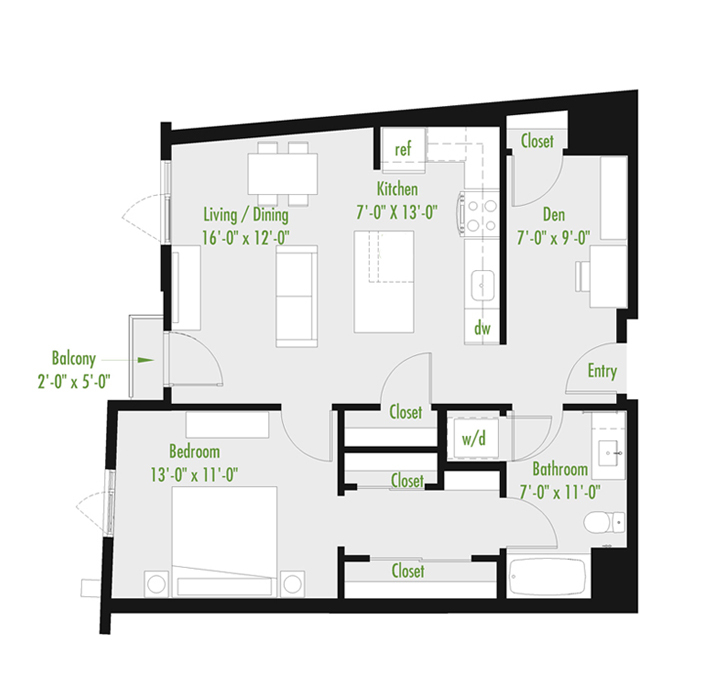 1 Bedroom Flat | Type 1B+ | 798 sq. ft. Studio | Type ST R | 562 sq. ft.
2 Bedroom Townhome | Type TH + (F) | 1806 sq. ft.
2 Bedroom Townhome | Type TH (E) | 1679 sq. ft.
2 Bedroom Townhome | Type TH (D) | 1999 sq. ft.
2 Bedroom Townhome | Type TH (B) | 2007 sq. ft.
2 Bedroom Townhome | Type TH (A) | 1826 sq. ft.
2 Bedroom Townhome | Type TH (A) R | 1826 sq. ft.
2 Bedroom Townhome | Type TH (C) | 1936 sq. 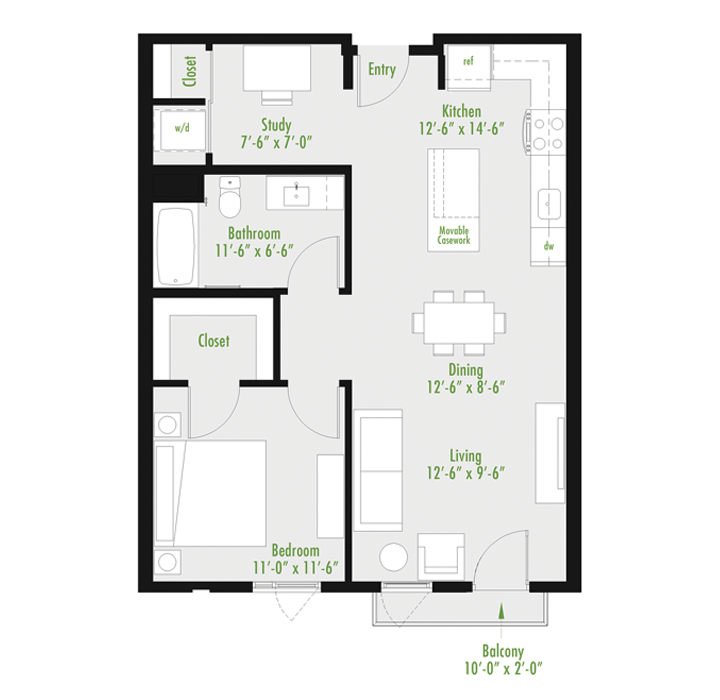 ft.
1 Bedroom Loft | Type 1B - Loft R| 1019 sq. 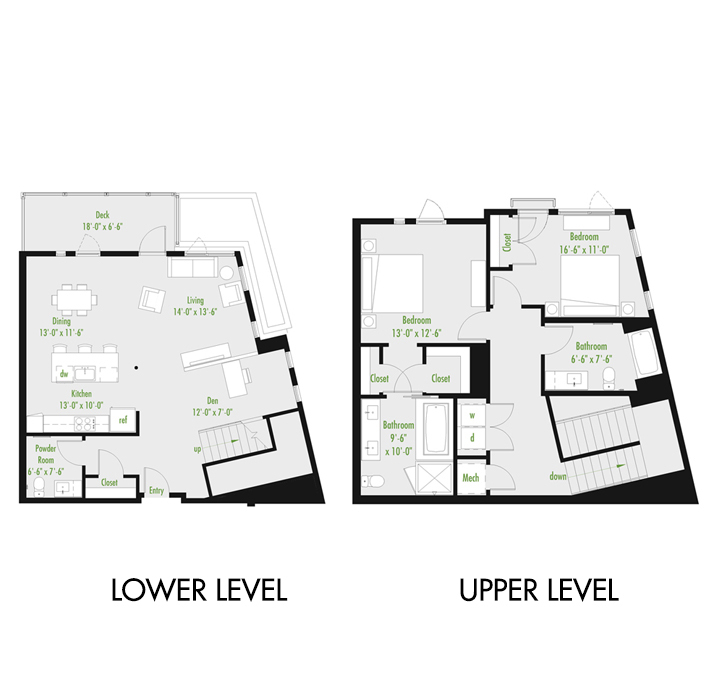 ft.
1 Bedroom Loft | Type 1B - Loft | 1033 sq. 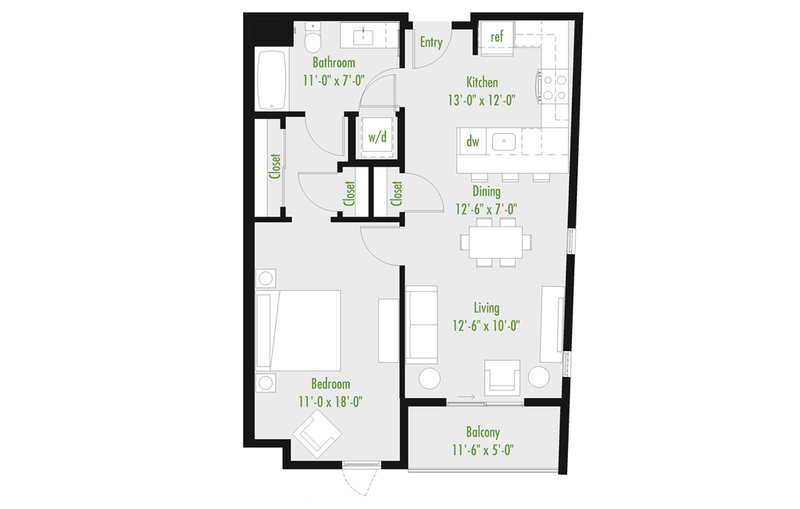 ft.
1 Bedroom Loft | Type 1B - Loft R| 1030 sq. ft.